"The Highlands 2-layer membrane provides ample weather protection, while its heathered finish and detailed trims give it a modern look for everyday wear. A rain shell disguised as an on-trend city jacket, the Highlands Jacket has you stylishly covered from work to play and everywhere in between. The DEFENDER Cloudy protects against wind and rain, while the multitude of pockets provide everyday functionality. Aerated lining promotes air circulation while allowing the Highlands to slide on comfortably over clothes. 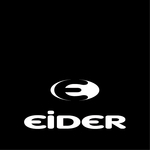 A product of Eider research, the Defender membrane guarantees garments that are at once waterproof, windproof and breathable. 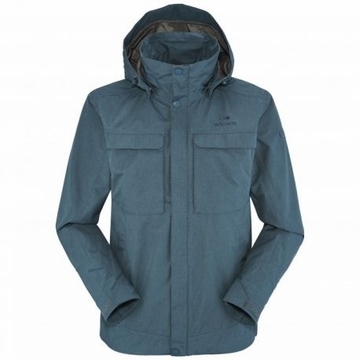 Detachable by snap closure or zip, the hood of your jacket comes off and goes on easily and quickly. A durable water repellent (DWR) finish is a surface treatment that stops water from penetrating fabric: water beads up and rolls away. LOW IMPACT is a unique standard based on two essential eco-design criteria : eco-friendly material (at least 40% of the product weight must use eco-friendly material), and certifications (at least 80% of the product weight must be BLUESIGN approved). This system, for fastening a detachable hood, is both discreet and extremely efficient. The edges of the hood can be inserted in the ports at the front of the collar, and are fastened by snap or velcro closures. Ergonomic build to maximize scope of arm movement plus comfort. The application of a waterproof film on the seams prevents any water incursion and makes the membrane waterproof, delivering a total seal. DEFENDER CLOUDY NATURAL // Waterproofness 10 000 mm - Breathability 10 000 g/m/24h // 100% POLYESTER"